In any divorce, the division of assets can be a thorny issue. Massachusetts is not a community property state. As a result, all property (both premarital and marital) is subject to division by the court in a divorce. In Massachusetts, the division of assets must be “equitable.” This means that the assets must be divided in a way that is fair — but that the division does not necessarily have to be equal. Let’stake the case of handling rental property during a divorce. If a couple owns rental properties, it may be a significant asset in the marital estate. Deciding how to handle rental property during divorce may seem complicated. However, dealing with rental properties in a divorce generally involves the same basic steps as handling other assets: (1) assessing the value of the properties; (2) adding the value of the properties to the estate; and (3) determining how to apportion a share of the properties’ value to each party in an equitable manner. With the assistance of a skilled divorce attorney, handling rental property during divorce does not have to be difficult. To start, the rental property or properties should be professionally appraised. Having an appraisal is the best way to protect yourself and to learn the true value of the property. The appraisal may reveal that the property is an asset, liability, the source of income, or some combination of the preceding. It may be tempting to skip a professional appraisal, and simply rely upon your partner’s valuation of the property or base it upon what you paid for the rental property. This will likely save you money in the short-term. However, it may cost you a substantial amount in the long-term. For example, if your spouse tells you that the rental property is worth $100,000, you may be content to take an equivalent value from the retirement account in the property division. If your spouse later sells the rental property for more than $200,000 — having hidden the true value from you — then you won’t have any recourse. That is why it is so important to have a professional property appraisal prior to dividing assets in a Massachusetts divorce. As with any marital asset, there are a number of ways to handle rental property during a Massachusetts divorce. One of the most common (and simplest) ways to deal with these assets is for one spouse keep the rental property or properties, while the other spouse keeps assets of equivalent value. For example, one spouse might keep the marital home, while the other spouse might get a rental property or properties as part of the division of assets. This type of asset division tends to be more straightforward and avoids the extra fees and taxes associated with the second option: selling the rental property. In some cases, simply dividing up properties in this manner is not feasible. If this is the case, selling the rental property and dividing the profits may be necessary. This is often the last resort. If you are currently receiving income from your rental properties, it will also have to be considered as a factor during the divorce process. There are several ways that you can handle rental property income A skilled divorce attorney can work with you to help you determine the best way handle this aspect of your divorce with rental property. Second, you could simply divide the monthly rental income with your spouse during the divorce process. A divorce attorney can draft a temporaryagreement that governs the details of this arrangement to protect you until the divorce is complete. Once the divorce is finalized, either the rental property will be sold, or one spouse will have possession of the rental property. At that point, the issue of the rental income will be handled. Infinity Law Group is a boutique law firm that focuses on family law. We understand the unique issues that often arise in family law cases, including the emotional challenges that often accompany divorce, child custody, and related matters. 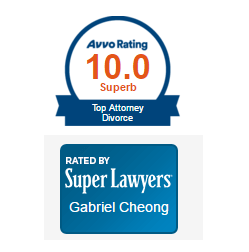 With a deep knowledge of Massachusetts law and facility at resolving matters outside of the courtroom, attorney Gabriel Cheong is an ideal choice if you are contemplating a divorce. Contact Infinity Law today at (855) 941-0909, or contact us online anytime. Initial consultations with are always free.